For many of us, being green and environmentally friendly means giving something up, doing a little more work to separate our trash, or paying a tad more for organic or recycled goods. 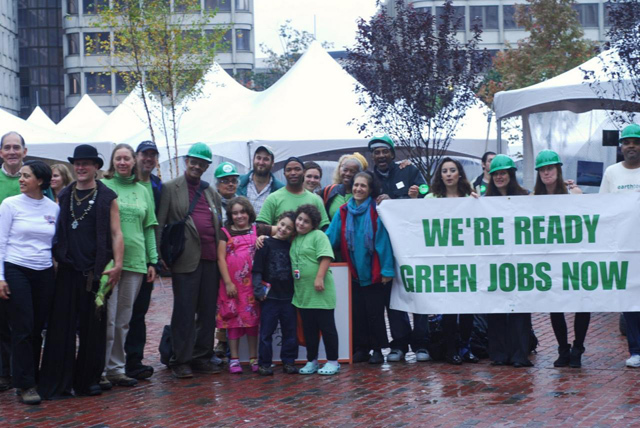 But this weekend – being Green in Boston can mean having fun while you educate yourself on green products, green initiatives and discover how cool it can be to be green. 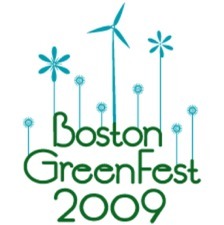 The Boston GreenFest 2009 kicks off Thursday, August 20th at 5PM with a concert on Boston’s City Hall Plaza. Scheduled performances include The Motion Sick, The Click 5, Samba Tremeterra, Tem Blessed and Mr. Lif. Following the concert is a 2 day festival on Friday, August 21st and Saturday, August 22nd from 10AM to 10PM each day. Activities include games and entertainment for the kids, many styles of live music on stage throughout both days, workshops, walking tours, kung fu demonstrations and eco-games. The entire event is organized by the Foundation for a Green Future Inc. The program has been greening roofs throughout the greater Boston area in order to have better local, organic produce options for urban dwellers – teaching and engaging the community in the process of planning, growing and harvesting. Attendees are encouraged to bring their own water bottles and will be rewarded with free water fill-ups throughout both days. And you may want to make sure your bottle of choice is fashionable before heading into the GreenFashion tent. Designers gracing the eco-runway include Sam Mendoza, Sparklle Thames, Latoya Bush & Stylistas, among others. In the spirit of being green, walk, bike or take the T to the event, if at all possible. The Government Center T Stop is in the middle of all the action, with Haymarket, State Street and Park Street all just a short walk away.